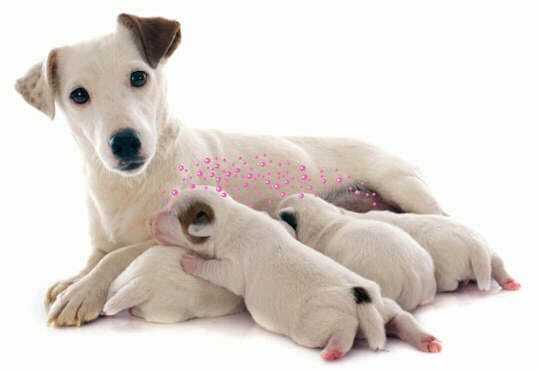 Mother dogs communicate with their puppies through natural messages released into the air. These "comforting messages“ are called Dog Appeasing Pheromones. These odorless messages are only perceived by dogs. These “comforting messages” provide a strong signal of security and comfort to dogs of all ages. Cats and people are not affected. Using these “comforting messages”, ADAPTIL Junior sends “comforting messages” to help your puppy feel the same comfort and security with your family as it did with it's mother. ADAPTIL Junior is clinically proven* to help your puppy be less fearful and more playful during the adoption period. The collar helped puppies learn better during training classes and develop into well-trained adult dogs. Also reassuring for adult dogs, the “comforting messages” sent by ADAPTIL help dogs feel calm and relaxed in situations that may cause fear or anxiety.